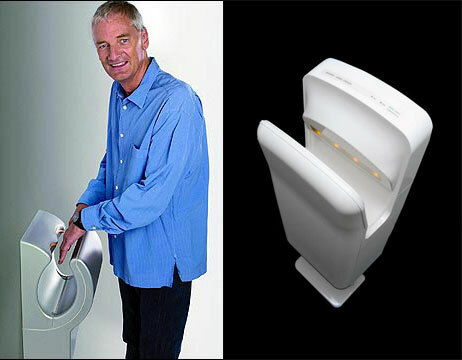 Dyson Airblade Copied Mitsubishi Jet Towel? Mitsubishi's own high-speed hand air-dryer has been deployed in Japan for almost 10 years now, a fact most foreigners—like us—were oblivious of. Apparently, that includes Dyson. Called the Jet Towel, the dryer works in a virtually identical way to removes water from the front and back of freshly-washed hands. We'll give Dyson the benefit of the doubt here, since there's only so many ways you can get water off your hands using air.